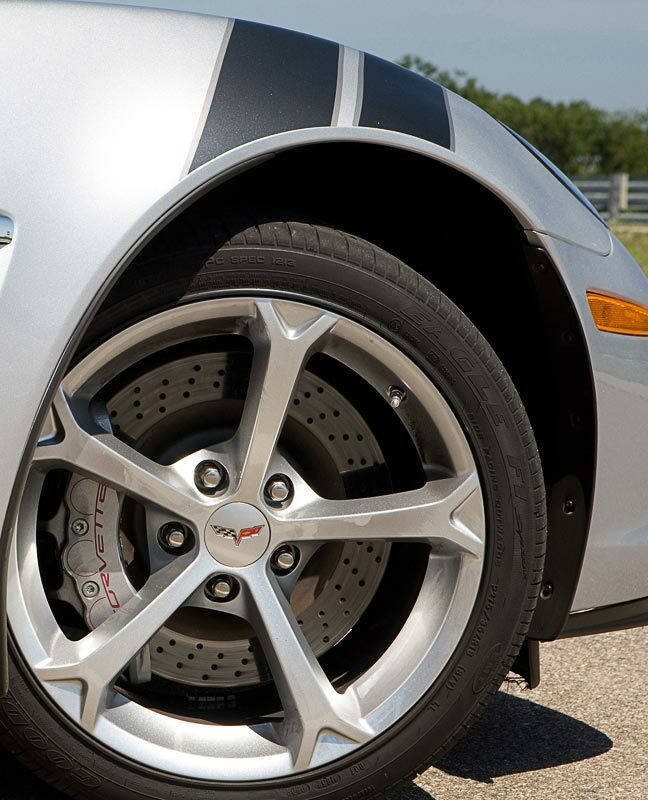 Above: 2010 Corvette Grand Sport distinctions: Left: standard painted wheel, middle: front fender brake cooling slots; Right: optional chrome wheel. 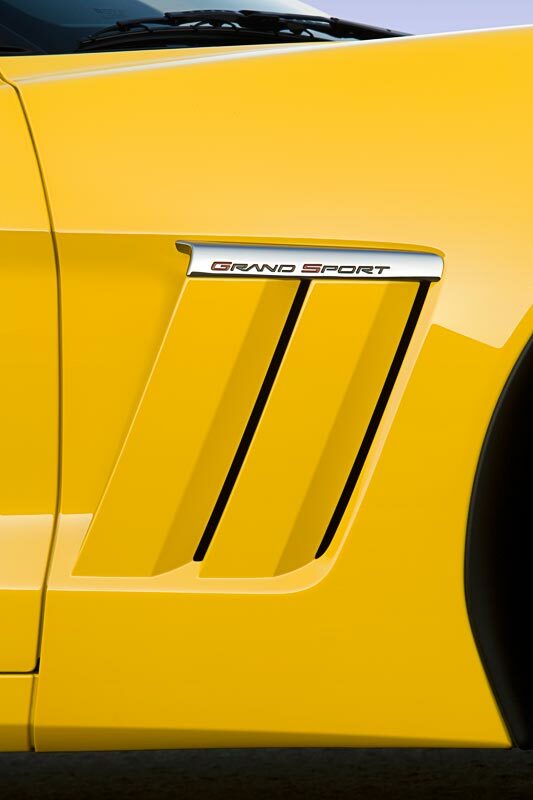 Hash marks in the top right fender are part of a heritage package and are available in four colors. 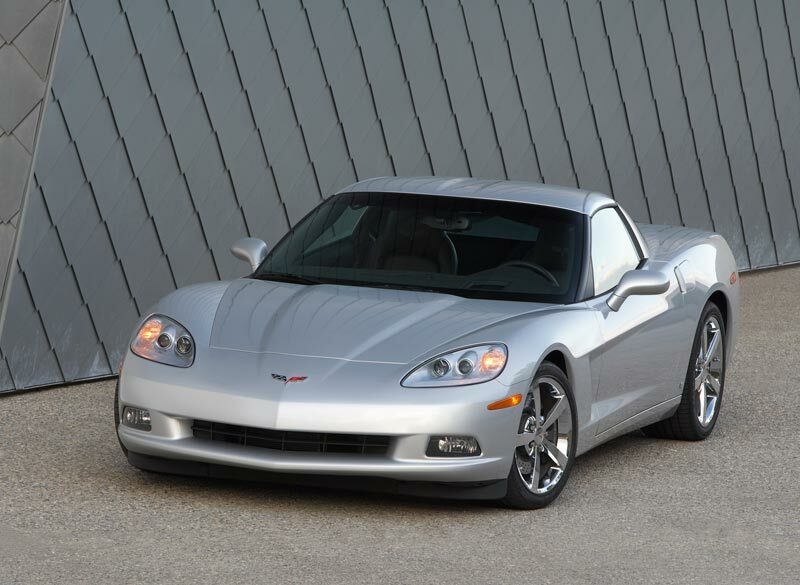 The 1996 edition of the Grand Sport featured red hash marks on the left front fender. 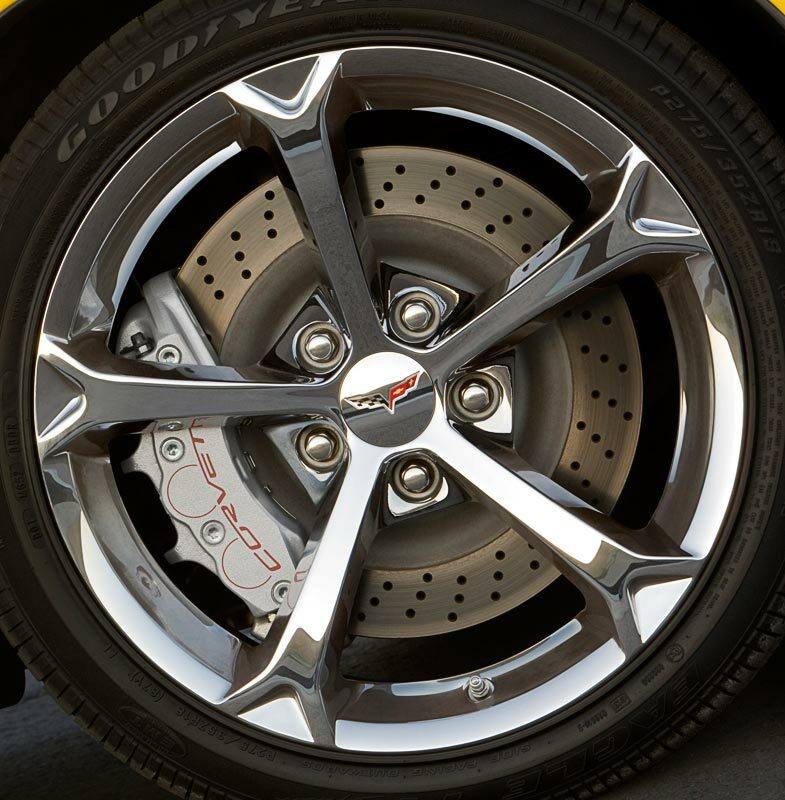 They were occasionally used on the original 1963 Grand Sport Corvettes; their purpose was to allow the pit crew to quickly identify which car was in for service. 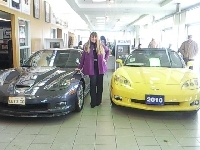 NEW 2010 CORVETTES - 4 SPRING! 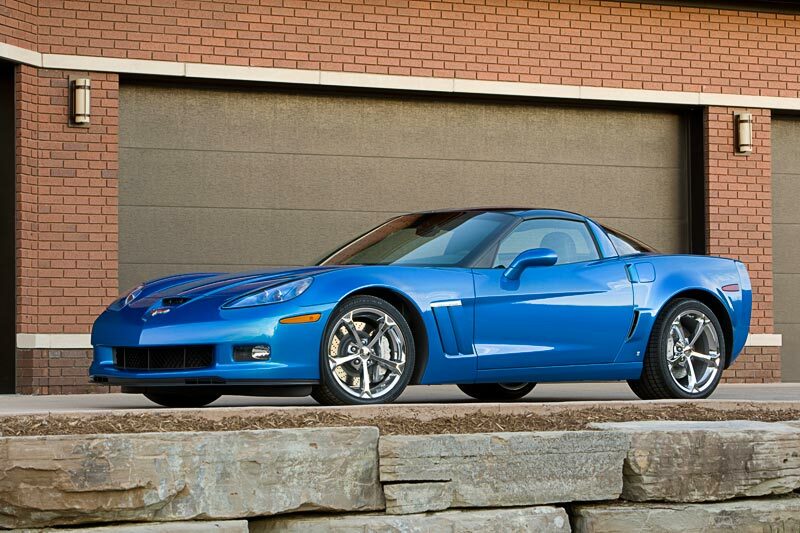 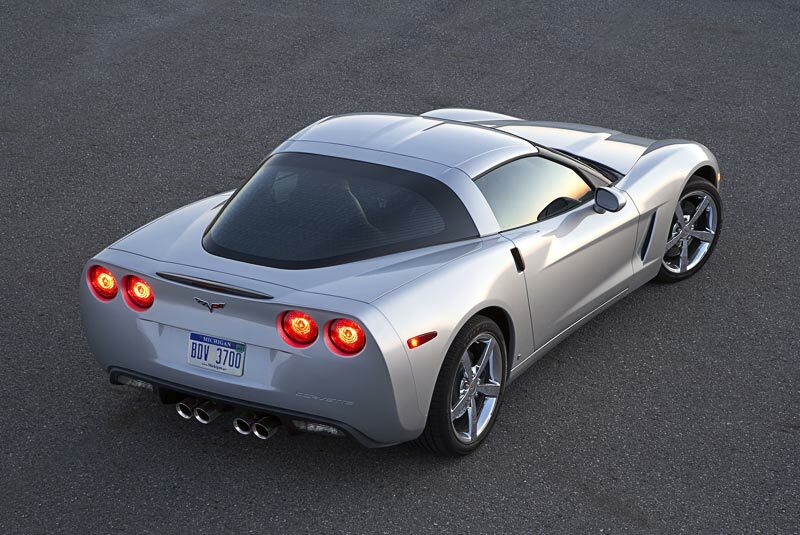 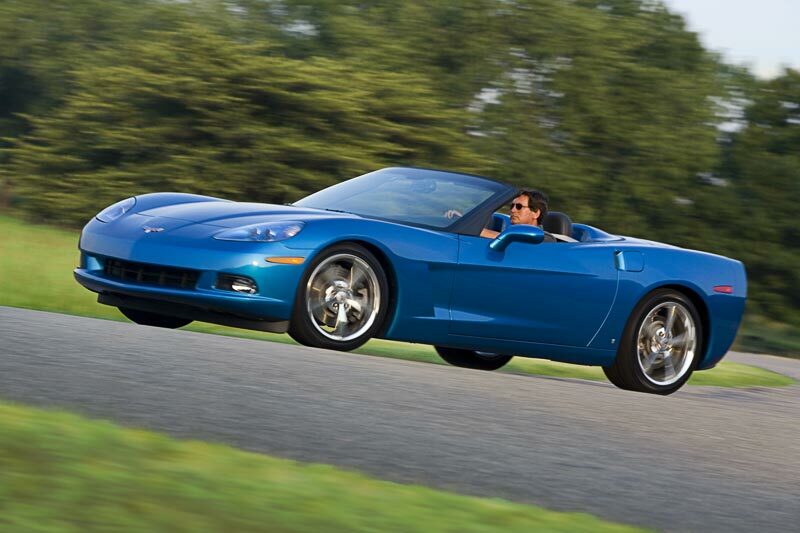 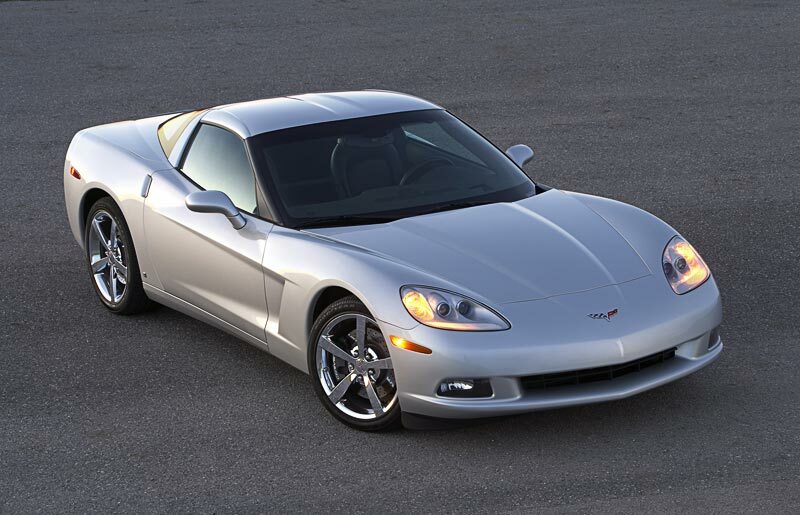 The coupe, Z06 and ZR1 Corvette models were unchanged for 2010.